Highly durable force table that includes accessories. Force table is great for student bench tops as it does not take up much space and is able to collapse. The smaller size allows for a more economic price while highly durable materials were used (ABS, Aluminum) to build this force table so it will last for decades. 11.75" dia. 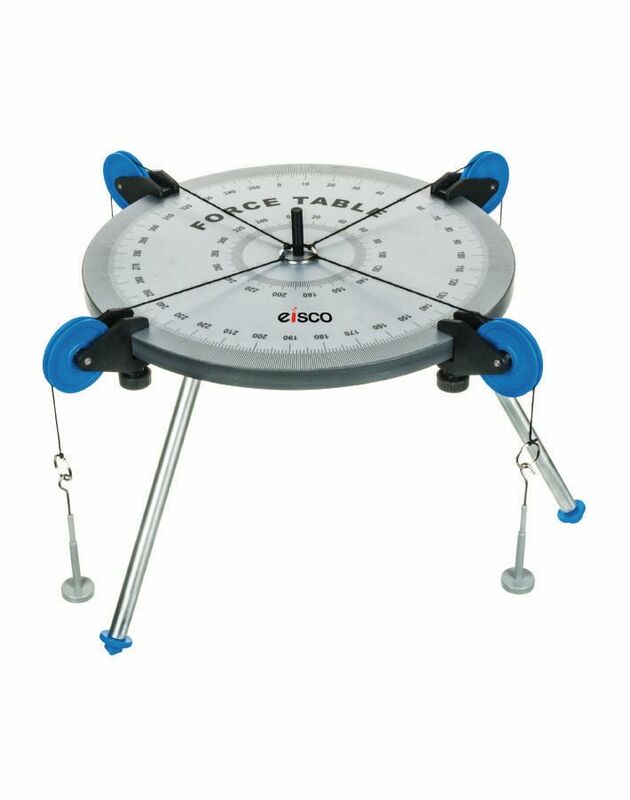 force table with 0.5 degree graduations, constructed of highly durable ABS plastic. Force Table does not include hangers or masses, PHZNW200SET is recommended, mass hanger and (9) 20 g masses.